This is a great concise two page close reading with interesting visuals and key concepts for social science clearly stated. The close reading has wide margins for annotation. It comes with 4 lesson options!!!! 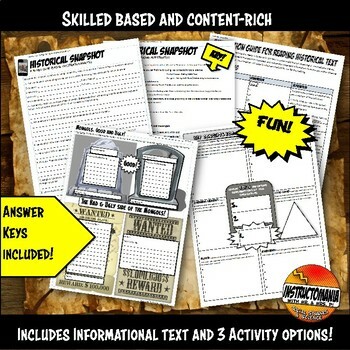 An annotation guide, big idea graphic organizer, worksheet and FUN wanted sign/tombstone assignment are all included! Key Common Core vocabulary for social sciences are bold throughout the close reading. The reading details the rise and decline of the Yuan Dynasty including: geography, trade routes, Kublai Khan, Marco Polo and major achievements. 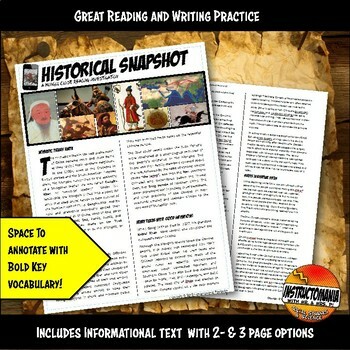 A reading analysis Common Core worksheet. 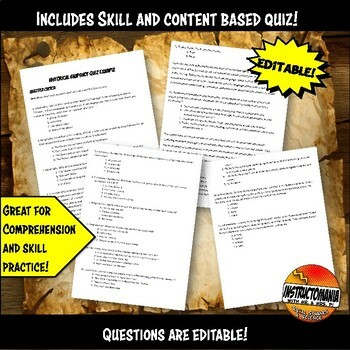 It includes an answer key! For a few dollars more you can buy this and about a ton of other activities to choose from in a bundle titled Medieval China. The bundle has been a top TPT seller! ✎✎✎ SAVE BIG! This activity set is also included in a the discountedMEDIEVAL CHINA BUNDLE!